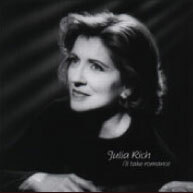 “I became an immediate fan of Julia Rich after seeing her perform with the Glenn Miller Orchestra.. She has an elegant, unaffected style that I find very appealing.After listening to ‘Witch Hazel,’ I learned that Ms. Rich’s skills as a singer are matched by her skills as a songwriter. Some of her material, such as ‘Dreaming Dreams and Such’ and ‘A Little Thing Called Gin,’ are so intensely personal that it is difficult to imagine anyone other than her singing them. Around half of the songs on this CD are originals; and, though Ms. Rich’s performance of standards is uniformly excellent (‘Desafinado’ is especially outstanding), those originals alone make this a great buy. 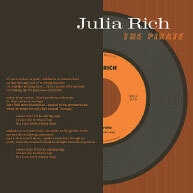 They make it clear that Julia Rich is not only a singer and songwriter with considerable talent but is also a highly intelligent woman with a great deal of insight. The other musicians on this CD are also excellent. 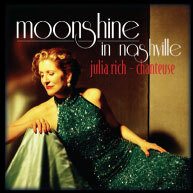 “For her second album, Julia Rich sinks her musical teeth into an assorted program of standards, a Beatles tune, and seven of her works, one of which she wrote with Benita Hill, whose tunes have been recorded by the cover boy of country music: Garth Brooks. The Rich/Hill collaboration, ‘Raining In Rio,’ resembles country music not one whit. Instead, it’s romantic with George Tidwell’s flugelhorn playing an important role in extending it beyond merely presentable. In addition to original material, there are other significant differences between this album and Rich’s initial effort. On ‘The Way You Make Me Feel’ she is jazzier, helped along with first-rate jazz musicians. But they were with her on the first album, so the more upbeat feel is Rich’s doing. Her readings of the tunes show a higher degree of confidence, a willingness to branch out beyond standard material. This greater assurance is heard on ‘You Hit The Spot,’ a duet with Bob Mater’s drums. Unerringly on pitch, this is a choice track. Another attraction is Rich’s compositions. 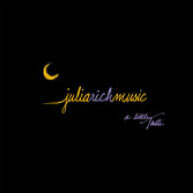 In addition to lyrics that talk about everyday situations, the harmonic structure gives her sidemen something to build a solo on, as with Tidwell’s flugelhorn on ‘The Irises.’ Rich is also more relaxed than ever, even on up-tempo material like a sweet, not girlish, ‘A-Tisket, A-Tasket,’ alternating lines with Tidwell and Woodard. The interrelation of ‘In A Sentimental Mood’ is otherworldly.